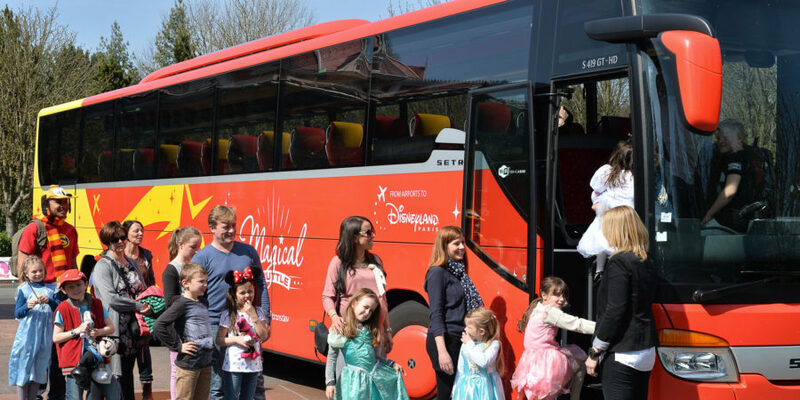 Magical Shuttle’s buses offer regular connections between Paris-Orly airport and the different Disneyland® Paris hotels. Enjoy the comfort offered by our spacious vehicles. Drivers are at your disposal for any information regarding your journey. Caution: For your return journey, we recommend that you schedule your shuttle departure at least two and a half hour before checking in at Paris-Orly airport.